More to find than can ever be found"
Happy New Year! May your life be filled with love, laughter and wonder. That's a great statue. I love its uniqueness. Great sculpture. Do you know who the artist is? Happy New Year. Janet Blue - yes, the sculpture is by Paul Manship. And that's not the only one of his works at Brookgreen Gardens in SC! Very interesting sculpture! Thanks for hosting Kristin and have a great 2013! What a great photo, I love it! Happy New Year! That is a cool sculpture! 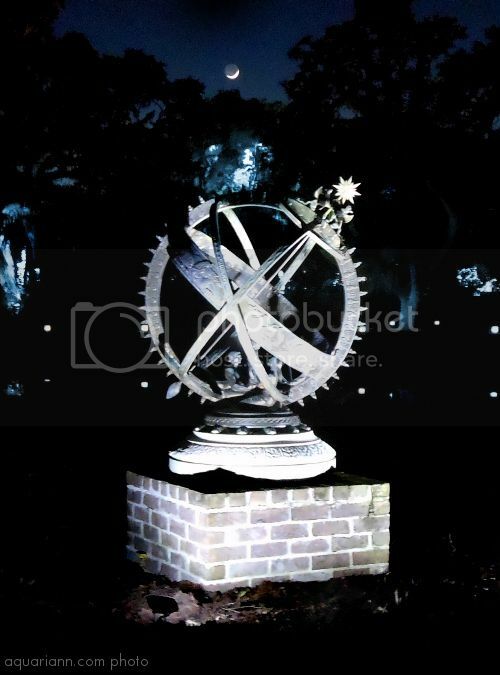 Cool sculpture, and I love the night shot! Happy New Year! Love it! Thank you for hosting. Hugs and Happy New Year Wishes! How interesting! Very cool too! Just beautiful! I love the moon in the background. Happy New Year! Thanks for being such a good blog friend! Very dramatic sculpture shot, Aquariann. Happy New Year! That is quite a sculpture! Happy New Year Kristin! I love the sculpture, it's such a beautiful night shot with all of the blues... Fabulous quote too! Happy New Year Kristin! Love the night shot. Well done! This is a great picture and a very nice sculpture. Very unique sculpture! I like that the photo was done at night too. Gives a little more mystery to the shot. I love the sculptures at Brookgreen. The look so beautiful with the reflecting ponds. Great photo!